Mangrove Forest : as "THE PLANT FOR PURIFYING POLLUTED AIR"
Urban area is now adversely affected by air pollution and fresh air becomes increasingly scarce. 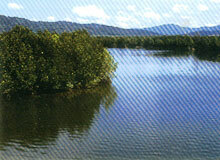 Mangrove forest is then another alternative for urban residents. It not only provides fresh air but also serves as paradise with beautiful scenery and lively atmosphere for humans and animals. 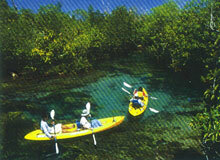 Mangrove Forest : as "THE SCHOOL OF NATURE"
The study of mangrove forest ecosystem is like visiting a large library. 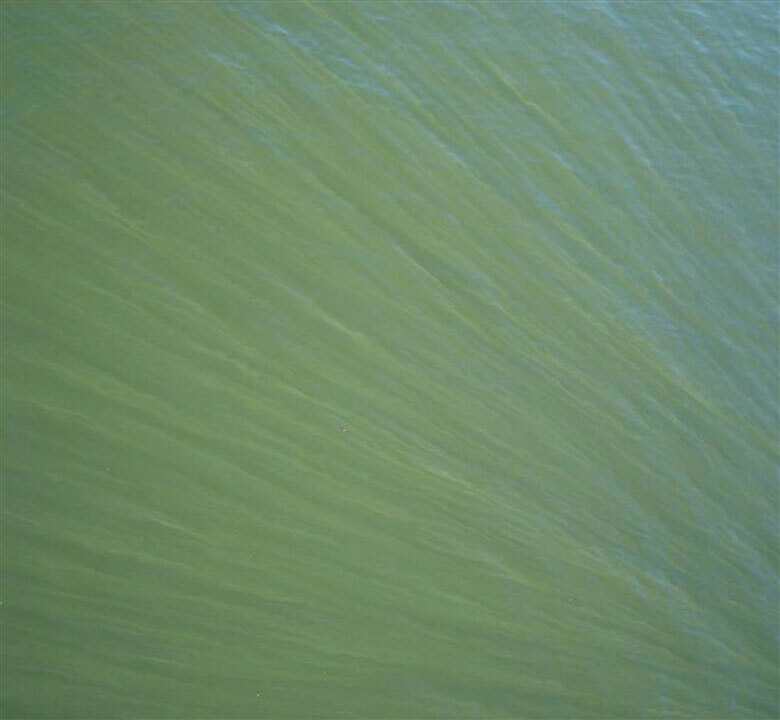 The components and all wildlife dwelling in mangrove forest are worth studying particularly the coastal ecosystems which are the origin of protein food of the world and the coastal people's way of life which are smoothly blended with mangrove forest environment. 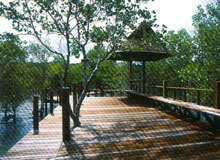 Mangrove Forest : as "THE NATURAL WALL"
In mangrove forest, mangrove trees look as if they grow on stilts. The stilts are their specialized aerial roots holding the trunk above the water and protecting coastlines from erosion. These roots act as a natural wall buffering storm, while protecting coastal residents and properties from damage.